Have you finished your final thesis yet? Every year, millions of students are about to graduate from the college and embrace the new world at this time. During the last weeks on the campus, let CamScanner become your capable assistant towards the commencement and the future. ·How to complete your graduation thesis more efficiently? When you are looking for arguments for your graduation thesis, how to deal with those materials that only have hard copies? Instead of typing them into your laptop manually, you can use CamScanner to scan these files and transform into documents editable. When you have saved too many documents or pages, how to find your needed information swiftly and accurately? CamScanner enable you to tag documents or enter keywords from the titles, notes or texts, which will be kept in order and can be found quickly and precisely. ·How to stand out in an interview after graduation? There are lots of personal materials, such as resume, cover letter, student card, passport, diploma etc., which are messy but significant to every fresh graduate. How to manage them in order appears to be particularly important. Fortunately, CamScanner make it never be a problem. All your personal materials can be scanned by CamScanner, and then safely stored and synced in your devices and the cloud server. You should no longer worried about forgetting your resumes at your interview, because What you need do is just to take out your cellphone and print it. ·How to keep your memories and efforts forever when to leave college? When you are about to leave the college, how to deal with your hardcopies which are full of memories of unforgettable teachers and lessons? Fortunately, instead of adding them to your luggages, with the help of CamScanner, you can convert all your hardcopies into electronic versions, which will be safely stored and synced in cloud server as well as all your devices. Your efforts and memories will be marked and never forgotten with CamScanner. 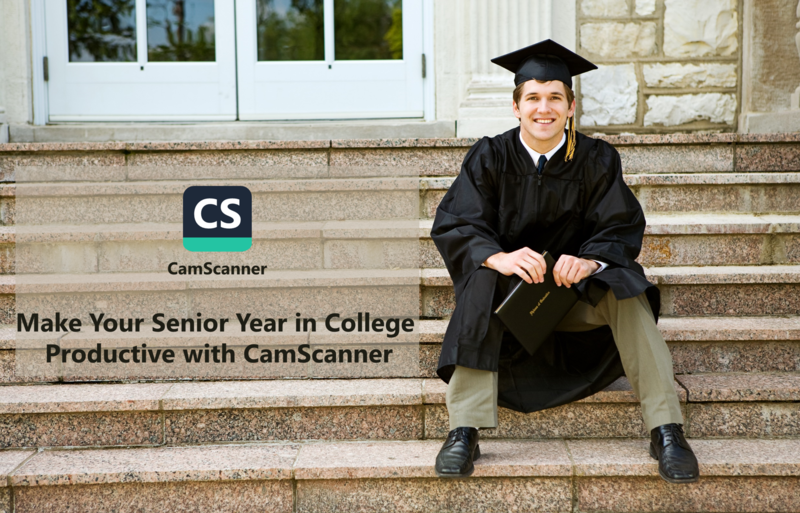 Best wishes from CamScanner to all the fresh graduates, everything goes well!